Hosted at the Dr. Martin Luther King Jr. Community Center, located at 300 W. MLK Street, Muskogee, OK 74401. Cost to attend is $8.00 per person. Celebrate the life, legacy and birthday of Dr. Martin Luther King Jr. through this 13th Annual Dr. Martin Luther King Jr. 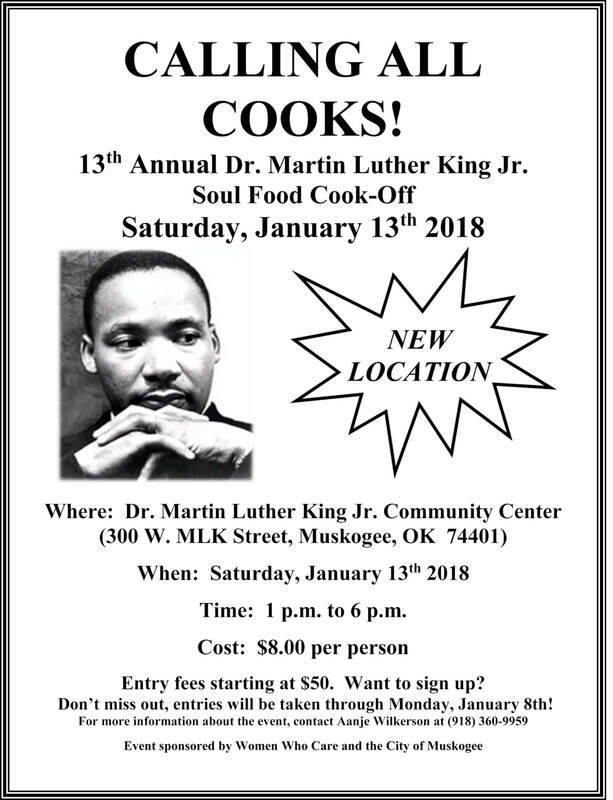 Soul Food Cook-Off in Muskogee, OK. Enter your best soul food dish to compete for a cash prize! Entries will be taken through Monday, January 8th 2018. Entry fees starting at $50. Want to sign up? Don’t miss out, entries will be taken anytime from January 2nd through January 8th at the MLK CC! For more information about the event, contact Aanje Wilkerson at (918)360-9959 or email soulfoodcookoff@att.net. 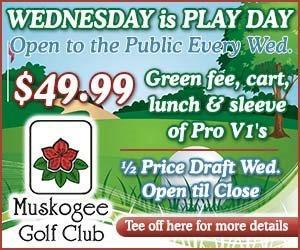 Event sponsored by Women Who Care and the City of Muskogee.